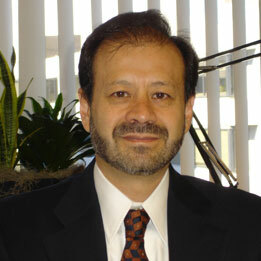 Augusto de la Torre is the former Chief Economist for Latin American and the Caribbean. Before his appointment as the region’s Chief Economist, Augusto de la Torre was a Senior Advisor responsible for financial matters in Latin America and the Caribbean. Since joining the Bank in October 1997, he has published extensively on a broad range of macroeconomic and financial development topics. Prior to joining the Bank, Augusto was President of Ecuador’s Central Bank and an International Monetary Fund Economist, including the IMF’s Resident Representative in Venezuela (1991-1992). He earned his M.A. and Ph.D in Economics from the University of Notre Dame and holds a Bachelor’s degree in Philosophy from the Catholic University of Ecuador. De la Torre, Augusto; Ize, Alain, Filippini, Federico; Sasson, Martin (2016). “The commodity cycle in Latin America : mirages and dilemmas,” The World Bank. De La Torre, Augusto; Ize, Alain; Beylis, Guillermo Raul; Lederman, Daniel (2015). “Jobs, wages, and the Latin American slowdown : Main report,” The World Bank. De La Torre, Augusto; Ize, Alain (2015). “Should Latin America Save More to Grow Faster?” The World Bank. Sennhauser, Ethel; Cord, Louise; de la Torre, Augusto (2014). “High food prices, LAC responses to a new normal,” The World Bank.